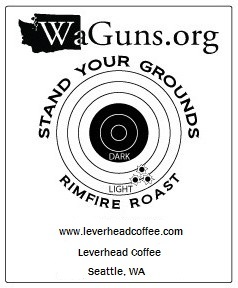 Leverhead Coffee is a proud supporter of the 2nd Amendment. Now you can help support WaGuns.org. A Washington organization that promotes gun safety and education. $1 is donated to WaGuns.org for each pound of WaGuns coffee sold. You can choose between two coffee blends and have them shipped to you monthly. All Subscription Prices include shipping.